I am the Vision Room Curator and Guest Experience Navigator for Auxano, a clarity first consulting firm serving the church. My wife Anita and I have been married for 38+ years. We have 3 sons, (with 3 amazing daughters-in-law, giving us 1 grandson and 3 granddaughters), and a daughter (married to a great son-in-law). 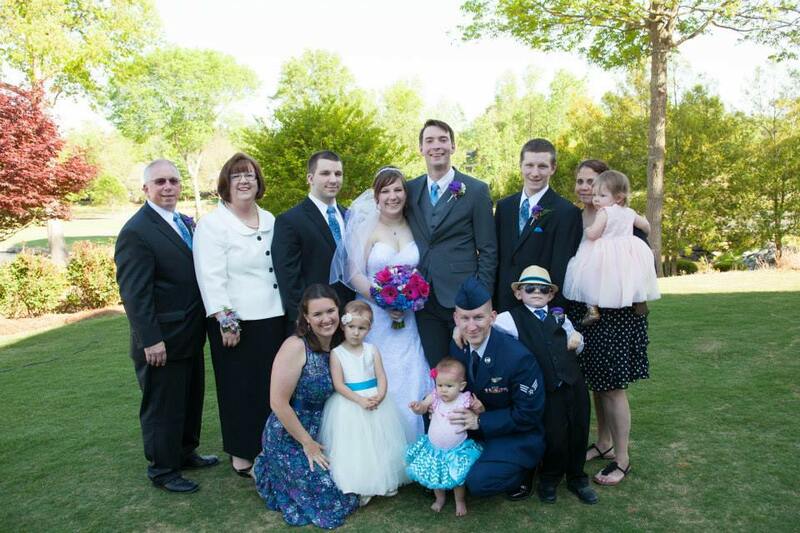 The picture above is the Adams family – at our daughter’s wedding in 2014. Anita and I are actively involved in ministry with Elevation Church in Charlotte, where we served at the Uptown Campus in various roles for over four years. Currently, we are at the Lake Norman campus, which opened in January 2014. Prior to joining Auxano I served over 8 years as the Lead Church Consultant for JH Batten, a church design builder. My background also includes over 23 years as an associate/executive pastor for 3 churches in KY, GA, and NC with primary responsibilities in church facilities administration, communication and discipleship. I’m passionate about helping church leaders thrive by turning challenges into opportunities. Current areas of curiosity include guest experiences in the church, leadership development, the urban ministry context, multi-site opportunities, team dynamics, and serving in the culture around us. My education background includes a B.S. in Accounting from Tennessee Tech University, a MRE in Church Administration and Communications from the Southern Baptist Theological Seminary, and post-graduate work at Emory University in church business administration. My lifelong pursuit of knowledge continues with a voracious reading regimen, a cherished habit passed on by my dad at an early age. I have been fortunate to have been a frequent speaker at national events including the Worship Facilities Expo, Church Solutions Expo, Creation Care Conference, EPA Sustainable Communities Conference, annual conferences of the NACDB, NACBA, NACFM, and various state Baptist Building Conferences. I have also contributed articles for Worship Facilities, Church Solutions, Church Worship & Technology, and the NACBA Ledger magazines. The title of this site comes from the generations of my immediate family: my father (who passed away in 2012), me, my oldest son, and his son – 4 generations, with 27 years between each of them. The influences of the GI, Boomer, GenX, and iGen generations are a constant presence in my life. My hobby is being a Disney fanatic, which is typically expressed in many ways, especially in the history of Walt Disney and the “kingdom” that bears his name. Having spent 31 days at Walt Disney World, plus a day at Disneyland and a day at the Disney Family Museum in 2017 alone, I continue to immerse myself in Disney culture by frequent perusal of select Disney-related websites, reading and collecting Disney-related books both old and new, and connecting with Disney Cast Members. Would love to visit there, and if/when I do, I’ll give you a shout.